RIGID CONTRACTS // Do you have problems modifying or changing requirements during the term of the agreement? OVERLOADED TEST SCHEDULES // Do you feel rushed during your test time? NICKELED AND DIMED // Are you getting charged for every little resource that you use on the mainframe? EXPENSIVE // Is the value proposition not quite what you expected? Feel like you are paying for more than you are getting? RESTRICTIVE // Are you limited by the number of test dates? OVERSUBSCRIBED // Are your mainframe or server systems at risk because a vendor has oversubscribed your resources? COMPETITIVE PRICING // Usually 30% cheaper than the Tier 1 providers. FLEXIBLE TERMS // Shorter terms (Monthly and Annual Contracts). USAGE BASE FEES // Only pay for the mainframe and/or server resources that you need. PURE TEST TIME // Networks are set up before your test and scrubbing of your data is done after you leave. So you are spending time actually testing your systems and not wasting time doing setup/cleanup work. HARDENED FACILITIES // Tier III data centers. COMPREHENSIVE // Support all major platforms, including zSeries, pSeries, iSeries, Sun/Oracle, HPUX and Wintel. Getting rid of additional test time fees. Some vendors will pay for the termination from your current mainframe DR provider. 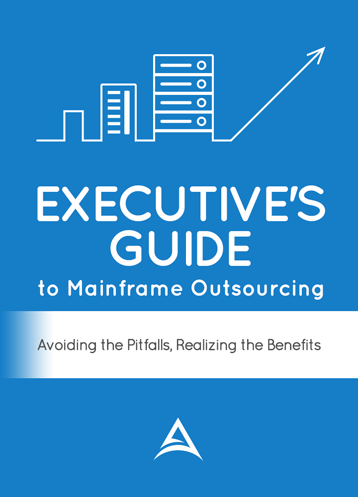 Click here to get a Cost Assessment of your mainframe or server environment.